Transcriptions are available for many more memorials, check our War Memorial Index page. This is an ongoing process with more lists of names being added each week. The volunteers who have photographed and transcribed each memorial are noted on the individual memorial pages. Where our volunteers have researched a name in more depth links (click on the blue highlighted names) to additional information on individual servicemen can be found on the memorial pages too, again this is part of the ongoing research project and much more information will be added as the project progresses. In some cases files or books are available to read in Barnsley Archives with information on a War Memorial that has been researched and this is also indicated on the following list. It is part of our Project Aim to make all the information collected available online AND in hard copy in Barnsley Archives. We are aware that this list may not be complete - if you are researching a war memorial in the Barnsley area please let us know. Similarly if you would like to help with this project by researching a particular memorial please get in touch bwmp2015@gmail.com as we have identified the majority of men named now (December 2015) and will happily supply you with a copy of the information we hold. If you have information on anyone who fell in the First World War who was born anywhere in the Barnsley area or who lived in Barnsley when they enlisted and/or who is remembered on a Barnsley memorial please get in touch, your information will be invaluable to the Barnsley War Memorial Project's aim of compiling a WW1 Roll of Honour for the Barnsley area. Men from Ardsley Parish are being researched by Michael Chance who has created a Community on Lives of the First World War to collect together the names of the men named on the memorials in Ardsley and Hoyle Mill and other men connected to the parish. Barnsley, Holgate Grammar School Old Boys research has been deposited at Barnsley Archives by Jane Ainsworth. A book, Great Sacrifice, with over 400 pages of information about the men named, was published early in 2016. Barnsley, Memorial Plaque, St Edward's Church, Kingstone has been researched by KingstoneHistory. The book, Kingstone Remembers the Great War, was launched in December 2014. Brief biographies of the men named on this memorial, both WW1 and WW2 can be found on the St Edward's Barnsley Remembers website, and more information is available on request. 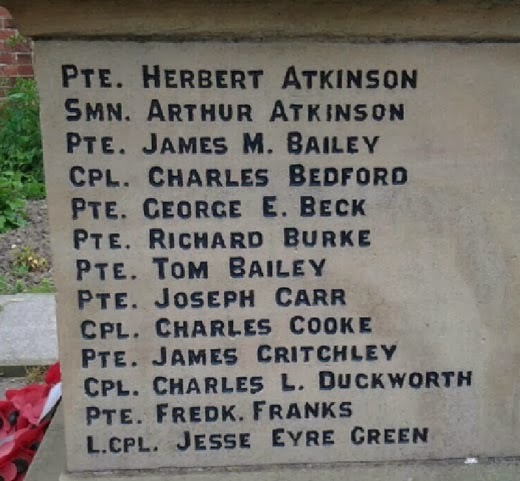 Barnsley, St George's Church (list in newspaper report) being researched by CG and MW who are appealing for people who are related to the men on this memorial to get in touch. Brief biographies of the men on this memorial will be posted on the St George's Barnsley Remembers website and more information is available by request. 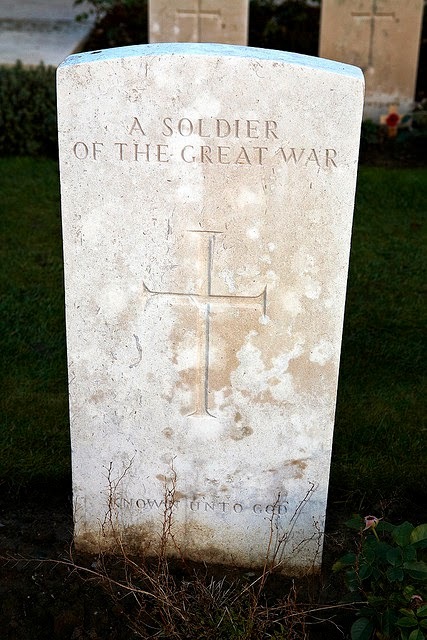 Barnsley, St John's Barebones is being researched in depth by BarnsleyHistorian, the stories of soldiers named will be posted on our sister site Barnsley Soldiers Remembered and linked to the memorial page. A recreated memorial will be dedicated at St Peter's, Doncaster Road in October 2016, Barnsley, listing all 140 names from St John's parish and we hope to have a display or booklet with brief research about the men on available at the event. Barnsley, Memorial Plaque, St Peter's Church, Doncaster Road is being researched by Richard Ellis who lives at the other end of the country and by Christine Watson, a parishioner of the church. Barnsley, Redfearn Brothers' Glassworks has been researched by Peter West (many of the men also appear on other memorials around the town). Biographies of many of these men appear on our Barnsley Soldiers Remembered blog. Barnsley, Sheffield Road Baptist Chapel Memorial is being researched by LT.
Billingley War Memorial, High Street, Billingley and the Methodist chapel plaque has been researched by the Billingley Village History Group and a booklet is available in Barnsley Archives. Blacker Hill War Memorial, Small Park, Blacker Hill has been researched by Peter Marsden and Albert Bishop and a file of information has been deposited at Barnsley Archives and is available from his website (see also Hoyland). Bolton on Dearne, Bolton On Dearne Board School, is currently being researched by the Friends of The Bolton War Memorial and a booklet about it can be obtained from them. Brierley War Memorial, St Paul's Church, Brierley, has been researched by George Tilley and others and a file of information is available in Barnsley Archives. Cudworth War Memorial, St John's Church, Cudworth This memorial has been researched by the Cudworth Local History and Heritage Group and a book, Lest Cudworth Forgets is available from them and can be read in Barnsley Archives. Men from Darfield Parish are being researched by the Darfield History Group who are appealing for relatives to get in touch if they have photographs or any information to help build up the stories of these men. We can put you in touch with KV who is the contact for the group, our email address is at the top of the page. A book about these men will be published in October 2016. Darton - there are no names on the War Memorial but we have found a couple of alternative sources. Men from Darton are being researched by ML and the Darton History Group. Dodworth War Memorial, Dodworth Green Road and High Street, Dodworth This memorial has been researched by the Barnsley and District U3A Family History Group led by Robert Green. They are interested in contacting the relatives of the men named on the memorial. Research was carried out in the 1990s by the Dodworth Local History Society and a book, Dodworth at War, can be read in Barnsley Archives. Elsecar Holy Trinity Church This memorial and other men from the Elsecar area have been researched by Graham Noble with the help of the Elsecar Family History Group for a limited run book, Parishioners of Elsecar who laid down their Lives in the Great War. A copy has been deposited at Barnsley Archives. Gawber War Memorial This memorial is being researched by a group from St Thomas' Church. Great Houghton - there are three War Memorials in Great Houghton with similar lists of men's names. They are being researched by Phil Gregg. Grimethorpe War Memorial, St Luke's Church, Grimethorpe has been researched by George Tilley amongst others, and a file of information is available in Barnsley Archives. A book researched by local men about the Men from Grimethorpe who gave their lives in the Great War can be found in the Acorn Centre, High Street, Grimethorpe. Hoylandswaine War Memorial The men on this memorial are included in the book about Thurlstone, see below. More information can also be found here. Jump And Hemingfield War Memorial, Cemetery Road, Jump This memorial has been researched by Sue Parry. Monk Bretton War Memorial, Cross Street, Monk Bretton and Monk Bretton, St Paul's Church, WW1 Memorial Tablet will be researched by the Friends of Monk Bretton War Memorial led by Councillor Steve Green. Penistone War Memorial and Memorial in Lady Chapel Penistone Church, research was carried out in 2010 by Richard Weller. A research booklet which includes Thurlstone can be read in Barnsley Archives. A book The Stories Behind the Names by Janet & Rex Dyson was published in July 2014 and a copy can be read in Barnsley Archives. More information can be found here. Penistone Grammar School Memorial has been researched by Janet & Rex Dyson and a book was published in November 2015. More information can be found here. Royston War Memorial, St John the Baptist, Church Street, Royston has been researched by the Royston Local History Group. A book, Royston and District in the Great War, 1914-1919, can be read in Barnsley Archives and is available from the Group. Silkstone War Memorial has been researched by Heritage Silkstone and the Roggins Local History Group. The Bramah Gallery in Silkstone Church is open for research on Tuesdays and Wednesdays (check here for details). Brief biographies of the men named on the memorials in Silkstone can be found on the Silkstone Remembers website. Tankersley, WW1 Memorial Plaque, St Peter's Church, Back Lane, Tankersley - several men on this memorial also appear on the Hoyland memorial. Thurgoland War Memorial, Smithy Hill, Thurgoland has been researched and a booklet can be found in Barnsley Archives. Thurlstone, St Saviour's Church, WW1 Memorial Plaque has been researched by Richard Weller and his booklet can be read in Barnsley Archives. An expanded study of the men from Thurlstone and Hoylandswaine was launched in November 2014 called The Fallen, Their Stories by Janet & Rex Dyson and can be obtained from local shops around the Penistone area. More information can be found here. Thurnscoe War Memorial, Thurnscoe Park, Thurnscoe has been researched by Peter Davies. Worsborough Common, St Lukes Church, Highstone Road, this memorial is being researched in depth by BarnsleyHistorian, the stories of soldiers named will be posted on our sister site Barnsley Soldiers Remembered and linked to the memorial page. Worsborough Combined Memorial, St Thomas And St James Church, Worsborough Dale is being researched by the Worbrough Local History Society. A book containing research on the men on this memorial was launched in October 2014 and is available from Worsbrough Library. Worsborough Village, St Mary's Church, Memorial Plaque has been researched by Albert Bishop and a file of information has been deposited with Barnsley Archives. Wombwell War Memorial, St Mary's Church, Wombwell has been researched in depth, and a new researcher, Fay Polson has recently started a blog with information about the men. The Wombwell Heritage Group are using information from the memorial to provide teaching resources for local schools. A number of the memorials in Wombwell appear on the WHG's War Memorial Trail which was launched in September 2015. Wortley, Lychgate, St Leonards Church, Wortley this memorial has been researched by TL.